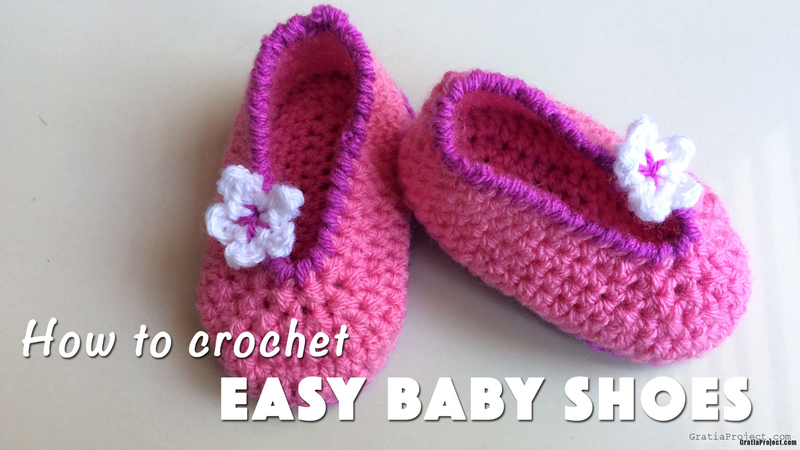 This is tutorial about how to crochet easy Baby Shoes. 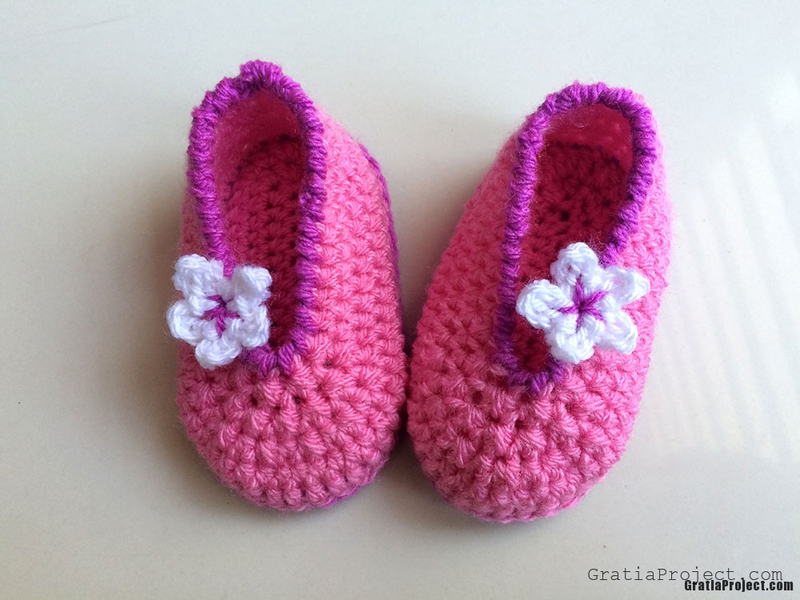 In this tutorial, I used I used Stylecraft Special DK yarn (color: Fondant & Magenta), and Susan Bates Silvalume Aluminum Crochet Hook F-5/3.75 mm. hdc2tog: half double crochet two together. Yarn over hook, insert hook into stitch, pull up a loop, 3 loops on hook. Yarn over hook, insert hook into next stitch, pull up a loop, 5 loops on hook. Yarn over hook, pull through all 5 loops on hook. Reverse sc: reverse single crochet. Instead of working from right to left, you work from left to right. Make 2 (two) for each left and right sole. Join both sole with slip stitch seam. Round 6: Ch 1. Reverse sc all around. Hide all leftover tails inside. 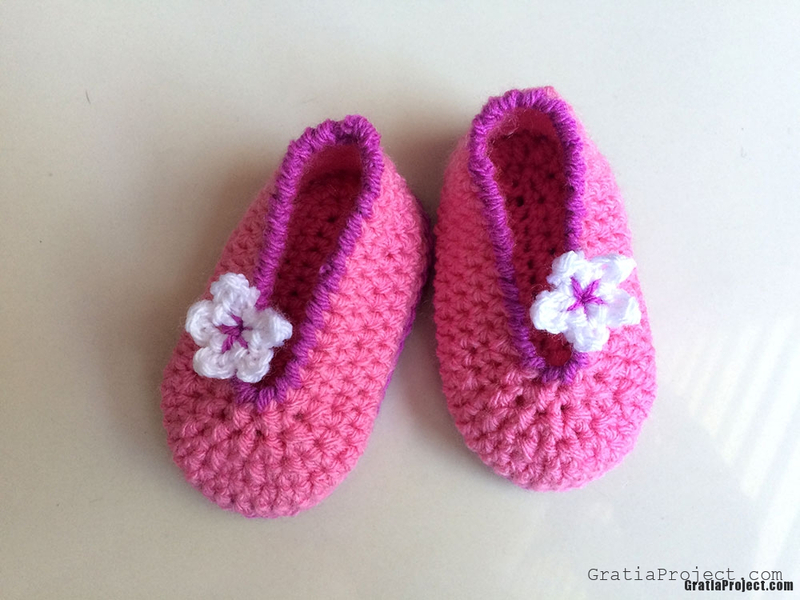 Crochet small flowers or bows and sew them to your shoes.